*There are some things that are simply unique to western PENNSYLVANIA. If you’re from Pittsburgh and vicinity, you do and say and eat a lot of things that are completely foreign to everyone else: Iron City beer, sandwiches with built-in fries, Sheetz M-T-O, Terrible Towels, the linguistic curiosity that is “yinz guys”…and Porky Chedwick. Even in a radio industry that was so intensely local for so long, there were few jocks anywhere who had the incredible local stardom Porky enjoyed for six decades in Pittsburgh, yet were so completely unknown outside of town. But at home, Porky was as big as they came – and so the news of his death Sunday morning, even at the ripe old age of 96, still came with quite an impact. Craig Chedwick’s childhood nickname didn’t really fit him as he grew into a lanky young man, but “Porky” he remained through his twenties as he built a career as a PA announcer for local sporting events. When he was 30, in 1948, he applied for a job at the new radio station in Homestead, and when WHOD (860) came on the air that year, Chedwick was part of the schedule with a weekend sports commentary. That five-minute slot quickly expanded into a longer show in which Chedwick played songs from his own collection of R&B 78s – and that grew into a daily afternoon gig that rivaled much bigger competitors such as KDKA, even with just 250 watts and a sunset signoff. Porky’s music was so popular that it survived WHOD’s transition to WAMO in the fifties, which turned the station into country and western except when Porky was on. Two years later, WAMO went all-R&B, with Porky in a place of honor among an otherwise all-black airstaff. He remained at WAMO for decades, even as the station changed around him. By the time he was finally cut loose in 1984, he’d been at 860 on the dial in Pittsburgh essentially nonstop for 36 years. Away from the radio booth, Porky was an indefatigable promoter of “his music,” emceeing record hops well into his nineties. Pittsburgh loved him right back: the city hosted “Porkstock” oldies festivals for several years at Three Rivers Stadium, oldies guru T.J. Lubinsky featured Porky prominently in several of his specials, and as recently as a week ago Porky was on the stage for the final installment of the long-running “Roots of Rock ‘n’ Roll” concert series. He moved down to Florida a few years ago as his health began to ebb, but that didn’t last, and before long Chedwick and his wife, Jeanne, were back home in Pittsburgh for good. He remained at least an occasional voice on the radio, returning to WAMO for a time amidst stints at WEDO (810 McKeesport), WLSW (103.9 Scottdale) and WKFB (770 Jeannette), among others. Now the “Platter-Pushing Papa” is a part of radio history – and in Pittsburgh, at least, he’ll be remembered for a long, long time. Memorial services for Chedwick were still being planned at deadline time; we’ll keep you posted here and on our Facebook and Twitter feeds as details are announced. *A couple of big moves over the weekend in Philadelphia: on the studio side, CBS Radio’s KYW (1060 Philadelphia) is out of sight of Independence Mall for the first time in more than four decades. KYW moved from its Art Deco home at 1619 Walnut Street to the corner of Market Street and Independence Mall East (aka Fifth Street) in 1972. In 2007, CBS split its facilities, moving KYW-TV (Channel 3) and WPSG (Channel 57) westward and northward to the corner of Fifteenth and Spring Garden Streets and relocating KYW radio half a block eastward to the office building at 400 Market Street, overlooking its former home, which is now the site of a museum. It turns out CBS had more space in that TV facility than it needed for the two TV stations, and so it decided to move the KYW radio newsroom once again. As of Sunday, “Newsradio 1060” now originates from newly-renovated space right next to the CBS3 newsroom at the Spring Garden facility (the street address is actually 1555 Hamilton Street); its former 400 Market Street space will now be rebuilt to house talker WPHT (1210) and classic hits WOGL (98.1), which will move into the city later this year from their current digs in suburban Bala Cynwyd. CBS Radio’s remaining Philadelphia stations, WIP-FM (94.1)/WIP (610), will stay put in their current studios one floor up at 400 Market Street. On the transmitter side, crews were busy over the weekend putting up a new antenna for WXPN (88.5). The legendary AAA station from the University of Pennsylvania has been on the former WKBS (Channel 48) tower at the western end of the Roxborough tower farm since moving down the dial from 88.9 a quarter of a century ago. Its new four-bay ERI antenna is now in place over at the southeastern corner of the tower farm, mounted to the former WPSG (Channel 57) analog antenna atop the “Gross Tower” off Paoli Avenue. With 2650 watts/1198′ from the new site, WXPN’s contours will be nearly identical to its present 5 kW/919′ from the channel 48 tower, but that extra height should give it a better view into some areas where the present signal is now shadowed. 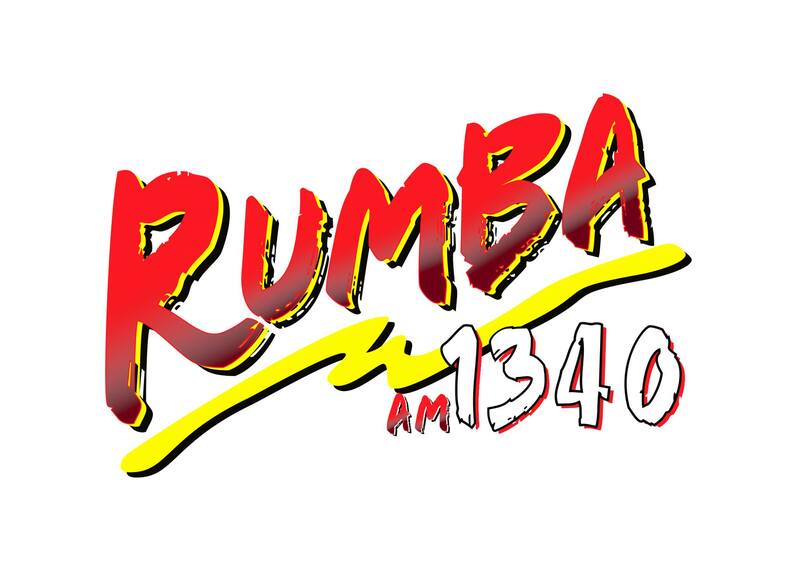 In Reading, Clear Channel has flipped WRAW (1340) from “Cool Oldies” to Spanish hits as “Rumba 1340.” The new format is mostly fed by Clear Channel’s Premiere Choice service, but there’s at least one local shift, hosted by Johnny V., a Reading native who does the mix shows on Clear Channel’s WUSL (Power 99) in Philadelphia. *On TV, new KJWP (Channel 2) has made it to Comcast cable in the Philadelphia market, and with that debut comes the end of a brief simulcast of the MeTV retro network on both KJWP’s 2.1 main channel and on WFMZ’s 69.2 subchannel in Allentown. WFMZ’s MeTV service didn’t have full cable coverage of the sprawling Philadelphia market, and when the MeTV contract with WFMZ ran out at the end of February, it wasn’t renewed. For now, WFMZ is carrying AccuWeather on both 69.2 and 69.3 while it seeks new programming. *Outside Scranton, religious WRGN (88.1 Sweet Valley) is changing hands. Gospel Media Institute Inc. has filed to donate the station and its six translators (extending from Bethlehem up to Clark’s Summit) to Dallas, PA-based Good News for Life, headed by Dennis and Lucille Madeira. State College religious broadcaster WTLR (89.9) is now on the air in Altoona, where it’s been granted a license to cover for its new 10-watt translator, W230CC (93.9). On the LPFM front, Adventist Community Broadcasting Corp. has been granted 98.9 in Williamsport. Montgomery County picks callsigns WEMA-LP for its new 105.7 in Marlborough and WRDY-LP for 105.7 in Plymouth. And speaking of LPFM fronts, the FCC received amendments this week from two of the last Cesar Guel applications still standing in the region. Guel, if you haven’t been following closely, is the Texas broadcaster whose own Hispanic Christian Community Broadcasting has a big pile of LPTV licenses, mostly in the Southwest and reportedly mostly off the air as much as they’re on. And in last fall’s LPFM window, he “consulted” some 246 applicants all over the country, all with identically bland mission statements, all with nonprofit registrations in Texas just weeks before the filing deadline, all listing Guel as “agent.” Several prominent LPFM activists, most notably Maryland-based REC Networks, filed objections to Guel’s applications, and the FCC responded with an extremely pointed letter to Guel and his Virginia-based lawyer, Dan J. Alpert, seeking very detailed information to determine whether the applicants for 14 Guel LPFMs even really exist. Guel’s applications for “North Pittsburgh Community Radio” on 102.1 and “Pittsburgh Community Radio” on 107.1 weren’t among those 14, but it appears that the amendments filed last week specify different “studio” addresses for both, perhaps to stave off questions about whether the original addresses even existed. So far, the FCC has dismissed 73 Guel applications (including one in Providence, two in Philadelphia, one in Buffalo, two on Long Island and one in Boston) and has yet to grant any. About half of the Guel apps remain in “accepted for filing” status, including the Pittsburgh applications and two in New Jersey. You can see the whole list, via REC Networks, here. When Barrington went up for sale, the rumor mill immediately pegged both Nexstar and Sinclair as likely buyers, and had Nexstar been the winning buyer, the FCC would have required something to be spun off in Syracuse. That will be the case under Sinclair as well, since Sinclair has its own Syracuse cluster just two doors down from CNY Central. That cluster includes Sinclair’s own Fox affiliate, WSYT (Channel 68), and MyNetwork affiliate WNYS-TV (Channel 43), which is licensed to RKM Media but has long been operated by Sinclair/WSYT. When Sinclair closes on the Barrington purchase, it will take over operation of “CNY Central,” owning WSTM/WSTQ outright and operating WTVH under a continuation of the Barrington deal with Granite. So what becomes of WSYT/WNYS? Sinclair’s announcement of the Barrington deal included a mention that two companies, Cunningham Broadcasting and the new minority-controlled Howard Stirk Company (fronted by conservative commentator Armstrong Williams), will be acquiring the license assets of four stations as part of the transaction – and that Sinclair will sell WSYT and assign its management deal for WNYS. What we’re quietly hearing from behind the scenes, unsurprisingly, is that Sinclair doesn’t really intend to let go of WSYT/WNYS – and that while the Fox/My combo will stay put at its 1000 James Street location, separate from CNY Central in the venerable channel 3 facility at 1030 James, Sinclair is likely to seek a “sale” of WSYT to the closely-connected Cunningham group. If that happens, it would give Sinclair some degree of control over three of the big four affiliations in town (NBC outright on WSTM, CBS via the Granite LMA on WTVH and Fox via the arms-length Cunningham on WSYT), plus CW and My to boot. That’s a lot of consolidation in a town that’s already seen more than its share of media changes lately, including the end of daily publication at the city’s major newspaper, the Newhouse-owned Post-Standard. But Cox’s strategy changed in recent years: instead of trying to spread out as much as possible geographically, the company’s focus has shifted to building dominant clusters across multiple media (TV, radio and even legacy newspapers) in a smaller number of markets such as Atlanta, Dayton, Jacksonville and Tulsa. Cox acquired Newport’s TV stations in those last two markets and quickly moved to sell non-core clusters such as its Connecticut radio stations (headed to Connoisseur Media) and now WJAC and WTOV, which Sinclair will operate under its new “Chesapeake Media” division, established last week to manage the increasing number of small-market stations under Sinclair’s growing umbrella. When Sinclair/Chesapeake takes over at WJAC and WTOV, those stations will get a new Pittsburgh partner, Sinclair Fox affiliate WPGH (Channel 53) and its Cunningham My Network sister, WPMY (Channel 22). What becomes of the newsgathering that WJAC and WTOV share, in part, with WPXI? That’s an interesting situation, too: Sinclair already has its own news partnership with WPXI, where Cox produces a 10 PM newscast that’s aired on Sinclair’s WPGH ever since WPGH shuttered its own newsroom in 2006. *The week’s other TV deal comes from Albany, where the market’s MyNetworkTV affiliate is getting a new duopoly partner. Venture Technologies’ WNYA (Channel 51), licensed to nearby Pittsfield, Mass., was once operated under an LMA by CBS affiliate WRGB (Channel 6). That arrangement dissolved when WRGB made an outright purchase of the market’s bigger CW outlet, WCWN (Channel 45), leaving Venture to operate WNYA as a stand-alone using the old Rotterdam studios of public broadcaster WMHT, which had moved on to plusher quarters in Rensselaer. Meanwhile, the new “Bloomberg 1200″ is also being simulcast on Clear Channel’s WJMN (94.5-HD2) for a little extra reach. In addition to the national Bloomberg feed, the Boston incarnation includes traffic and weather headlines four times an hour from Clear Channel’s Metro Networks, and may eventually include more local content as well. *There’s more new radio coming to eastern CANADA. In Clarence-Rockland, Ontario, just east of Ottawa, the CRTC has granted a new signal to Evanov Broadcasting. The new 92.5 there, running 300 watts, will be the latest link in Evanov’s soft AC “Jewel” chain, joining CJWL (98.5 Ottawa) to the west and CKHK (107.7 Hawkesbury) and the new CHSV (106.7 Hudson-St.-Lazare QC) to the east. North of Toronto, Dan Sys’ Canadian Radio News reports the grant of a new 50-watt tourist information station on 98.5 in Barrie. Owned by Douglas Edwards, who has several existing tourist signals nearby, the new 98.5 will carry the CKEY calls that had a long legacy in Toronto and then in Niagara Falls/Fort Erie. Despite rumors that have suggested “AMP” clones showing up everywhere from Boston to San Francisco, we’re hearing that the eventual flip in New York – whether at WWFS or WXRK – won’t carry the “AMP” branding, which will apparently remain unique to L.A. So which signal will end up flipping in New York, and when? That remains a well-guarded secret for now, though with the contract for morning men Opie & Anthony just a couple of months from expiration, it certainly would seem that WXRK is more obviously poised for a flip than WWFS, which has been surprisingly successful with its “Fresh” format after many years of instability and repeated format flips as WNEW. We now know the outcome of this morning’s big meeting in Syracuse – and it ends up being the opposite of what we’d surmised – Barrington Broadcasting’s NBC affiliate, WSTM (Channel 3), is taking over operations of Granite’s CBS affiliate, WTVH (Channel 5), under a shared-services agreement. There was no noon newscast on WTVH, and it appears much of that station’s staff may be out as operations of the CBS station move two doors down to WSTM’s studios. We’ll have much more on this developing story in next week’s NERW. The news out of MAINE is all about call changes: WKCG (101.3 Augusta) has become WVQM, to match its news-talk simulcast with WVOM (103.9 Howland) in the Bangor market. Meanwhile, Bangor’s WABI (910) sheds the calls it’s had for more than eight decades – it’s now WAEI, matching its WEEI-simulcast FM sister, WAEI-FM (97.1 Bangor). The WABI calls live on over at WABI-TV (Channel 5). There’s a format change on the way in PENNSYLVANIA in a few weeks. On April 5, Salem will flip WZZD (990 Philadelphia) from the format of religious teaching and music that it’s had for 23 years to conservative talk. 990 will get new calls, WNTP, and a program lineup that will include the syndicated offerings from Laura Ingraham, Hugh Hewitt, Dennis Prager, Michael Medved and Michael Savage. Salem has been rolling out its conservative talk in many of its markets, including last year’s launch of WTTT (1150) in Boston; in addition to the April 5 launches in Philadelphia and Dallas (KSKY 660 Balch Springs TX), Salem is also introducing a national morning show hosted by William Bennett and veteran talk PD Tom Tradup. “Bill Bennett’s Morning in America” will also be heard on WTTT, replacing the current Jimi Carter morning show there; NERW suspects it’s just a matter of time before Salem clears that show and the rest of its network on one of its New York outlets (WMCA 570 or WWDJ 970) as well. Another call change in Philadelphia: WLDW (96.5) has become WRDW-FM, reflecting its new “Wired” identity; those calls have a long heritage down in Augusta, Georgia, where owner Beasley has WRDW (1630) – and where there’s also WRDW-TV, no longer co-owned with the radio station. There’s a fight brewing in Chambersburg over the land where the four towers of WCBG (1590) now sit. City officials began building a water tower right next door to the site, apparently without realizing that the RF field from the station would interact with the new structure. Now the city says it will condemn the land on which the towers will sit, offering Verstandig Broadcasting a paltry $30,000 for relocating to a city-owned landfill site. The station, understandably, doesn’t want to move; we’ll keep you posted on how this one plays out. Howard Stern fans in Pittsburgh are making do without the shock jock for now; WXDX (105.9) there was one of the six Clear Channel stations that abruptly pulled the Stern show from their airwaves on Thursday. “The X” played music Thursday and Friday mornings, and it’s not clear yet whether the Stern show will be back there (or on Clear Channel’s WNVE 95.1 in the Rochester market, which also went Stern-less) any time soon. A format flip in NEW YORK’s Capital District leads things off this week; as we’d hinted last week, Crawford Broadcasting will move the oldies “Legends” WPTR (1540 Albany) over to the FM dial today, swapping calls and format with religious WDCD (96.7 Clifton Park). While the religious programming gets the big 50,000 watt AM signal, we’re hearing that some tweaks to “Legends” are on the way at its new FM home, where it will compete with Clear Channel oldies WTRY (98.3 Rotterdam) and its emphasis on the 60s and 70s, as well as Pamal’s WKLI (100.9 Albany) and its standards format. Call changes are relatively rare in CANADA, but we have three of them this week, all related. Rogers flipped CISS (92.5 Toronto) to “Jack FM” almost a year ago, and now it’s finally changed the calls there to CJAQ. The CISS calls replace CKBY on 105.3 in Ottawa, which became top 40 “Kiss” earlier this year – and the CKBY calls follow the country format south to “Y101” in Smiths Falls, the 101.1 outlet formerly known as CIOX. In MAINE, Bonnie Grant is leaving her post as general manager of WPOR (101.9/1490 Portland) after years with the station. Saga told staffers this week that it plans to move WPOR out of its current home on Baxter Blvd. and into the building at 420 Western Ave. in South Portland that now houses Saga’s other Portland outlets, WGAN, WZAN, WMGX, and WYNZ. As part of the process, Saga market manager Cary Pahigian adds GM responsibilities for WPOR — which left Grant with the choice of the sales manager job she held before becoming GM, or a departure for other work. Meantime, the rest of the Saga stations are getting a new news and programming coordinator. Doug Tribeau joins the group to replace departed news director Leslie Doppler and WGAN/WZAN PD Dave Winsor (who’s still at Western Avenue, but now focused on the WGAN morning show). Tribeau was with Eagle Broadcasting’s four-station group (WHCU, WTKO, WYXL, WQNY) in Ithaca, New York. NEW YORK, too, has its comings and goings this week, with Long Island at center stage. As Carl Liu (son of NYC leased-time guru Arthur) gets ready to buy WLVG (96.1 Center Moriches), the AC station is losing its PD and morning host. PD Stefan Rybak left this week, and morning guy Marty Mitchell is leaving as well (though he keeps his weekend gig on quad-cast country Y107 surrounding New York). Liu’s deal is worth between $3 million and $3.5 million and includes an LMA of up to 3 years with current owner Gary Starr, according to the M Street folks. Over at WBLI (106.1 Patchogue), Cox stays within the corporate family by bringing in its PD from sister CHR WWHT (107.9 Syracuse). Less than a year after making “Hot 107.9” his first PD gig, J.J. Rice heads down the Thruway and out the L.I.E. to make his mark on the Nassau/Suffolk market. We’re proud to say we “knew him when” (as APD/MD at Rochester’s WPXY), and we wish him all the best on the Island. Buffalo’s WNED (970) appears to have been saved from extinction for the moment, but not without creating some friction on the local noncomm scene. The Western New York Public Broadcasting Authority had said WNED’s news and talk format was losing money, and had planned to shut down programming, instead simulcasting the NPR news, talk, and jazz from SUNY Buffalo’s WBFO (88.7). After the news broke, listeners and the community called on WNED to reconsider, and the station responded by launching a nine-day pledge drive last weekend to raise $150,000 needed to run the AM. WNED raised $70,000 of that in the first two days alone, along with $100,000 in cash and advertising space from the Buffalo News. If the fund drive succeeds, WNED will hire a consultant to examine the AM’s future, including the possibility of replacing “Morning Edition” and “All Things Considered,” already heard on WBFO, with local news (which 970 used to run in its WEBR days). Across the border, the CHR on 92.5 in Toronto is now on its second name in as many weeks. It seems Rogers Broadcasting didn’t check to see what nicknames were already in use in the market when it replaced country CISS with CHR “Power” — and the result was a lawsuit from CKDX (88.5 Newmarket), which has been “Power 88” for two years now. Gone is “Power,” in is “Kiss” (or is that “Ciss”? ), and if there’s confusion with cross-market WKSE (“Kiss 98.5”) Niagara Falls-Buffalo, NERW suspects the U.S. Embassy will decline to intervene. I’m not sure if you’ve mentioned this, but would you know how many radio personalities have hosted at least three morning shows in the same market, as Scott Shannon can now claim? Just wondering how common it has been over the years. Pittsburgh’s Jack Bogut began doing morning drive at KDKA in 1965, He was lured away by the former WTAE radio, and is now continuing a long run at WJAS. There must be a place forhim in the Guiness Book. In New York’s Capital District, market legend Don Weeks was morning man at WABY/Albany before taking on Morning Drive at Top 40 WTRY/Troy. For a number of years thereafter, he was the morning host on the market’s flamethrower, WGY/Schenectady, so we have to include him in the morning three-peat archives!